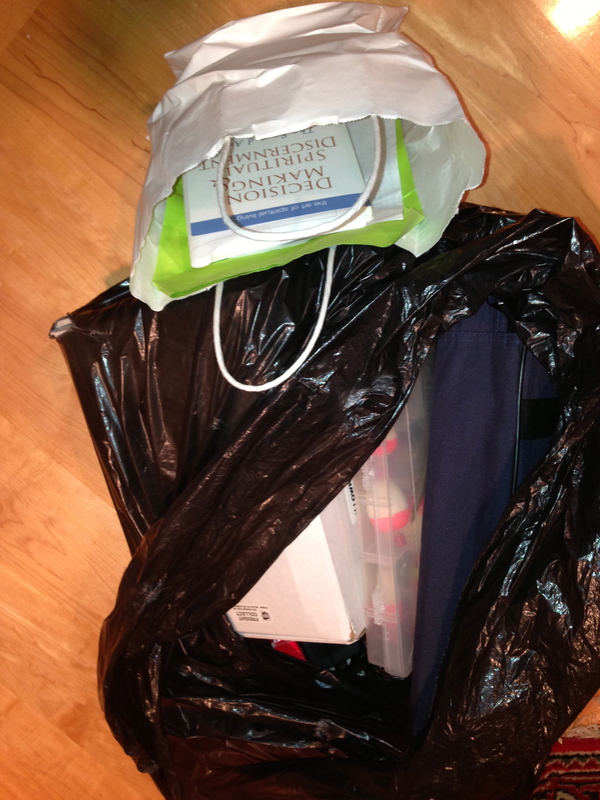 Clump #55: Clear away two more bags on floor of study. I’m getting very close to an imperfectly-perfectly clear floor in this room, all because of the personal 30-day, 30-clump, 30-post challenge. Yay! This was a simple clump, but its reverberations will be far-reaching. I’m getting the floor de-cluttered in the room that was stuffed with stuff, to the point where we couldn’t (and didn’t want to) walk there. 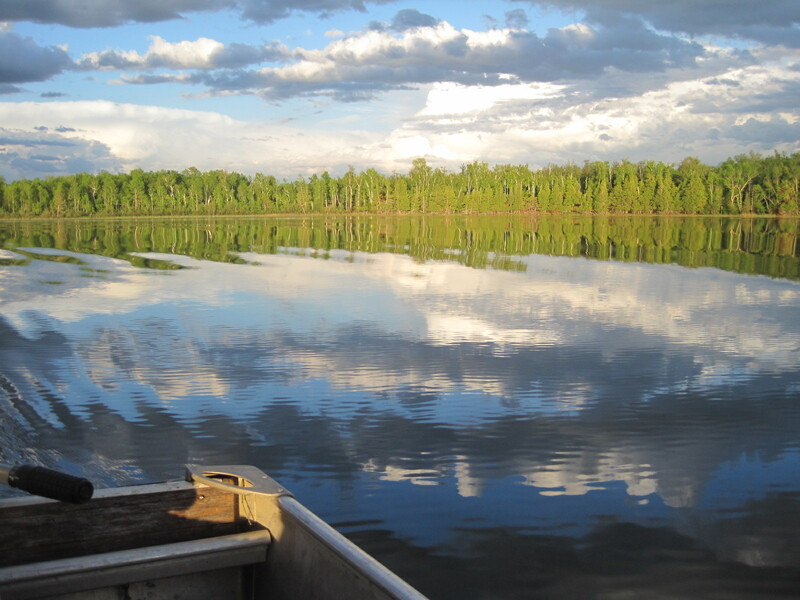 One was filled with the fishing gear we use on our annual trip to Minnesota. 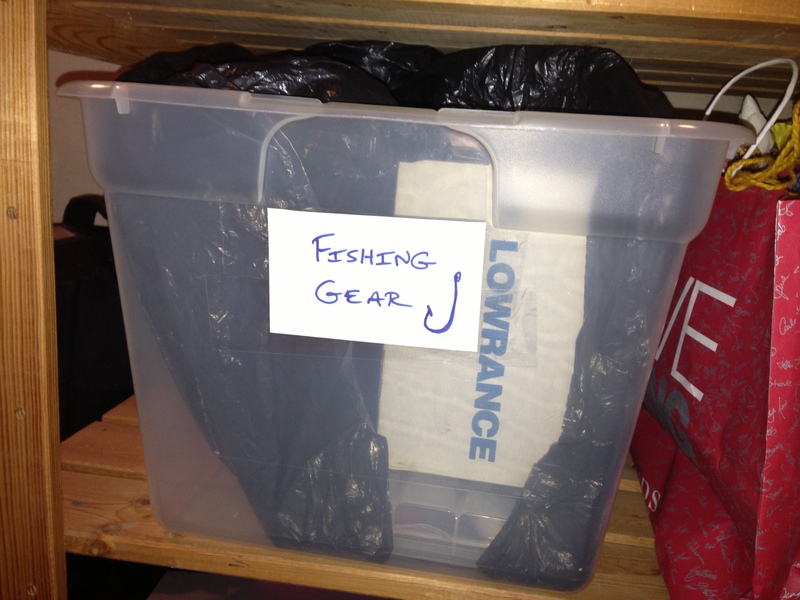 We also have an annual “Where did we stash the fishing gear?” routine … so utterly predictable, annoying, and time-wasting. This year will be different …. wow! Look at us now! 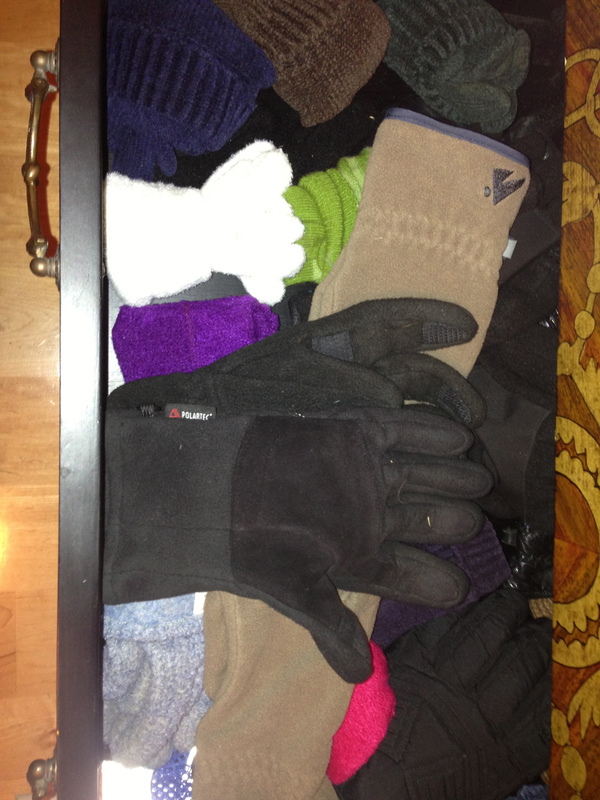 The lone glove in the bag is reunited with its mate in the glove drawer, and all is right in the glove world again. The other small paper bag contained knitting instructions for socks (something I would have been really bugged at not locating next time the sock-knitting urge strikes) and a great book, Decision Making & Spiritual Discernment, by Nancy L. Bieber. Why these two were stashed together, I have no idea. 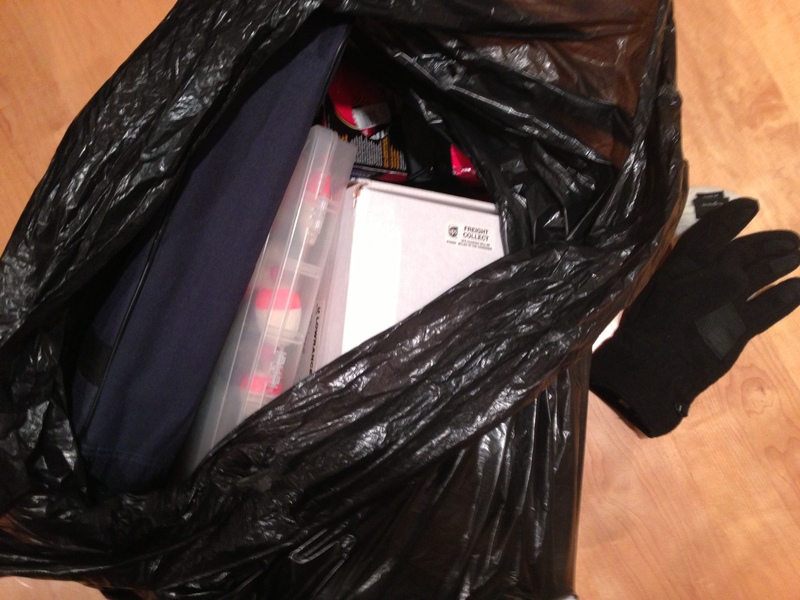 ← Previous Post Oh boy … now I can vacuum! Gorgeous, beautiful, worth the time to visit, thank you for posting. The concept of happiness in the glove world made me smile. 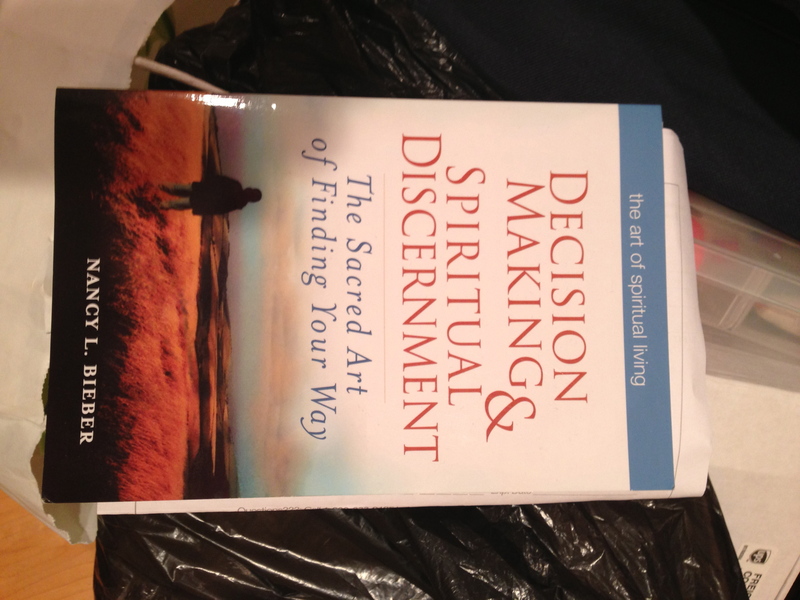 And I’m always interested in new resources related to decision-making and spiritual discernment. I found myself recommending your blog to my wife yesterday, and possibly also my mother-in-law, a priest who is bent on downsizing and reducing clutter in the house she has owned for 50 or 60 years. Trust me, the theme you are working on – stuff, and the meaning of stuff — will resonate widely and deeply among followers nationwide who feel mired in our material culture. Come to think of it I have a sister in Massachusetts who might enjoy reading this. You go girl, just 6 more posts and you will have done it! Thank you so much for your thoughtful words and much-appreciated encouragement. It means the world to me!